Sosta is Italian for a rest or pause and the Sosta Jacket allows you to do just that. Its relaxed fit, soft Merino wool interior and zippered front pockets make it perfect for casual outings but there is no shortage of function to complement this high style. If you get caught in bad weather or decide to take your activities to an extreme level, the performance features of the Sosta Jacket come to the forefront. Cycling specific features include a concealed rear zipper that opens to reveal a large 3-compartment cargo pocket. 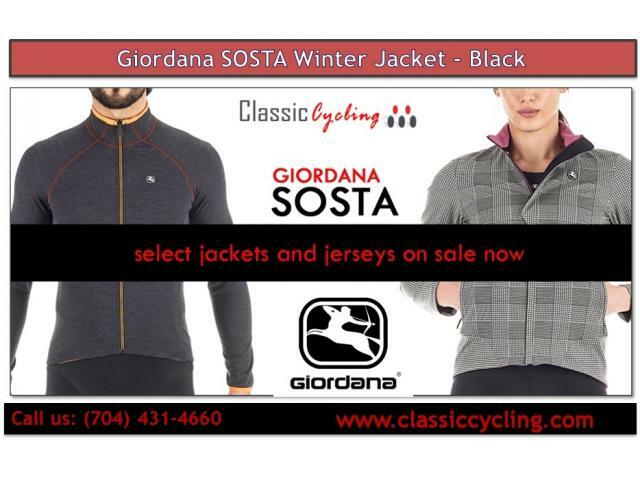 Sosta is Italian for a rest or pause and the Women's Sosta Jacket allows you to do just that. Its relaxed fit, soft Merino wool interior and zippered front pockets make it perfect for casual outings but there is no shortage of function to complement this high style. The shell of the Sosta Jacket is a triple layer polyester/spandex face with a windproof, water resistant membrane bonded together with a Merino wool lining. The inside front panels of the jacket have an additional mesh lining to allow air to circulate.